This review is hard for me to write. 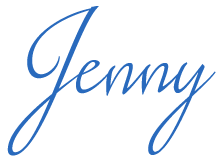 I am a huge Tiffany Reisz fan and The Bourbon Thief was one of my favorite books last year and Reisz is easily in my top 3 favorite authors. Maybe my hopes were too high for The Night Mark. Maybe I didn’t let myself see past my pet peeves. 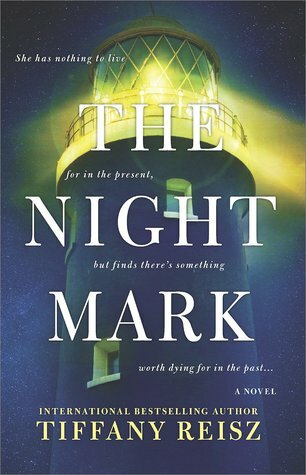 Maybe it’s a case of “It’s not you, it’s me.” Regardless of the reason, The Night Mark fell a bit flat for me. There are a lot of people who are going to love this story. I have no doubt about that. There are parts that are easy to love but there are also parts that raise the wrong sort of questions, show inconsistencies, and just plain drag. I’m really hoping a lot of the issues were fixed before publication. The first half or so of the book lacks momentum, especially the first quarter. I found myself putting the book down and not wanting to pick it up. I did a lot of avoidance laundry during that time. There just wasn’t anything that grabbed me and pulled me in, that made me want to invest my time, energy, and emotions. Knowing what was eventually coming just wasn’t enough to hook me. Especially when the story doesn’t start picking up until the 50-60% mark. I can’t get into many of the inconsistencies I take issue with without spoiling things but I’ll touch on the ones I can discuss. Carrick, the man in the past, supposedly sounds exactly like Faye’s deceased husband, Will. There’s a line that I’m not allowed to quote because I have an advanced copy and I’m hoping it was changed somehow, but know that Faye says she’d recognize that voice anywhere. Except Carrick has an Irish accent of some sort and Will didn’t. Makes it hard to recognize someone’s voice when there’s suddenly an accent thrown in. There are also issues with the time travel in regards to how much time elapsed in 2015 versus 1921 (e.g. Faye is gone for hours in 2015 but a week in 1921). I can’t say much but apparently different amounts of time pass for different people? I could be wrong but all I know if I was confused. There is a lot of information in this book. I love learning about history and the how’s and why’s of things but it feels like the encyclopedia version of the history rather than a more natural incorporation into a story. The history didn’t flow into the story as organically as it could or as I’ve come to expect from Reisz. I think that is a large part of why the story would feel bogged down at times. The constant comparisons between the past and present and Will and Carrick also dragged the story along. I’m sure I would be making plenty of comparisons in Faye’s shoes but for a story, it just added a lot of weight and I grew tired of hearing the same or very similar things. I have issues with the editing of this book. I’m sure tackling this story was no small task but issues like switched names and a backstory that we’re supposed to believe no one questioned (if you’ve read it, it’s regarding Carrick’s scars. No one questioned why he was injured?!). Inconsistencies that just shouldn’t have made it this far. I’m sure a lot was caught and I certainly wouldn’t be a good person for the job, but I found these things quite distracting. I have more, unfortunately, but I don’t want to keep writing about negative things. I wish I had liked this story more. I wish I could overlook things and just absorb the book without question. But I can’t. The story is great in premise and many readers will find it romantic but, to me, it felt like going on a date with someone great but he has a huge pimple on his nose and I just couldn’t look away. There's a lot of good going on but I'm too distracted to stay focused on it. Thanks so much for this review and your honesty! I hate books that drag and i too loved The Bourbon Thief, but that one dragged a little to me, so maybe t was just me, I don't know! What I do know is that I have read all of her books and some were so much better than others!